Discussion in 'Collecting and Card Price Discussion' started by Skitty, Mar 22, 2008. I have a Hoppip from Expedition I got in a trade a while back. It a normal one but hase a Japanese backing. Does anyone know where it came from or what it's worth? 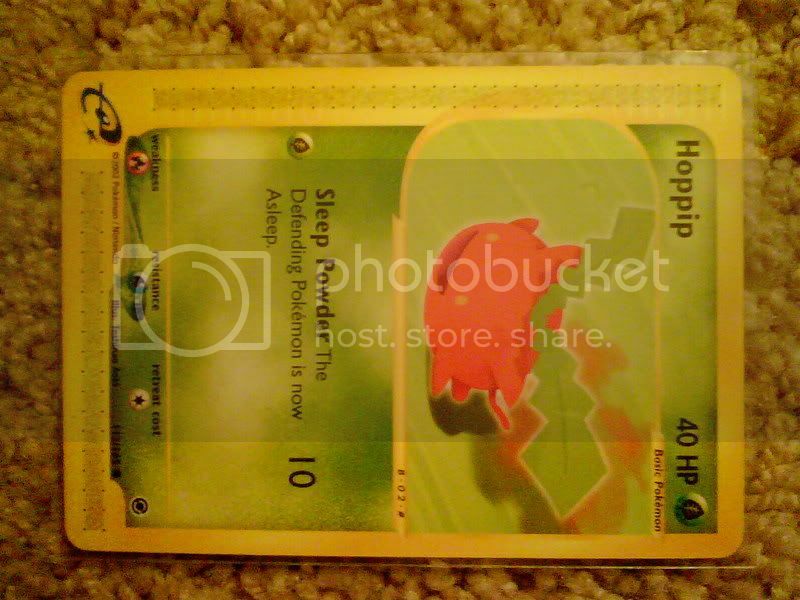 if its just a regular japanese hoppip then probably $1? It has an English front and a Japanese back. mine is printed in 2002 but from the looks of you pix it says 2003? Since that thread is so old, does anyone know what they're worth now? 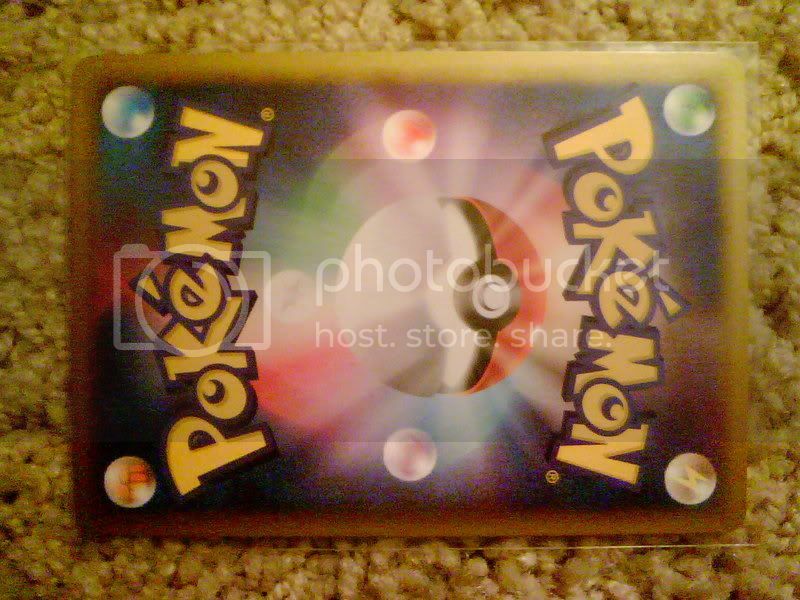 If you have just the single then maybe $8- $10 but if you , by chance, you found it with pichu and the rest of the cards it came with youwould be looking at approx. $30 - $40 . It was a E3 promotional pack and came with a Kirby scan card and one other game scan card for the E-reader. the card is more a collector item tan anything now .